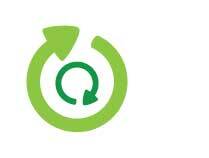 For private businesses and commercial organisations across Kent and the South East, this service provides waste management, containers and collection. 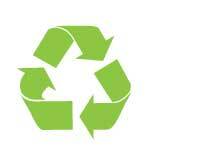 We supply many businesses throughout Kent with high-quality, specialised bins and waste containers. What’s more – if you opt to go with our collection service we can supply you with free bins to make the process even more straightforward. We don’t charge for container leasing, Landfill Tax or Duty of Care. Our local collection teams in Kent can offer a quick and responsible service, with collections organised into flexible time-slots to suit our clients needs – choose from daily, weekly or fortnightly collections. All our services comprise a visit from a field sales executive in addition to pre- duty of care documentation and treatment paperwork. We work with a wide-variety of businesses in Kent, and collect and dispose of all kinds of waste in a safely and legally. Our Kent team uses several Disposal Facilities where construction waste may be disposed or recycled. We can provide large skips, rear loaders and RORO containers for your building, demolition or construction needs. Please note we do not offer a tip facility. We also supply the popular 1100L bin across all towns and cities in Kent – Call us today for a free one hour quote, no obligations. So if you are looking for a reliable waste collection and management service in Kent, call our team of specialist waste consultants today. 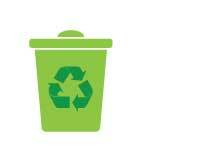 Our tailored waste services could make a big difference to your company and the environment. You could save up to 30%! Kent Waste Management - Free Bin for New Customers! Kent Waste Management are famed in the waste disposal and removal sector for our competitive prices and expertise in the field. We offer many different services, ranging from confidential document shredding, aerosol and paint disposal to man with van services and much more, so please don't hesitate to contact Kent Waste Management today.